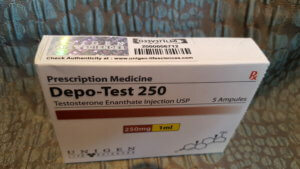 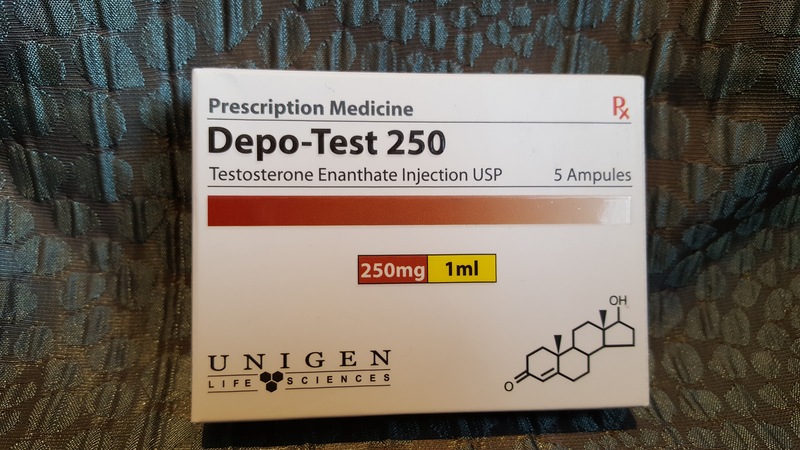 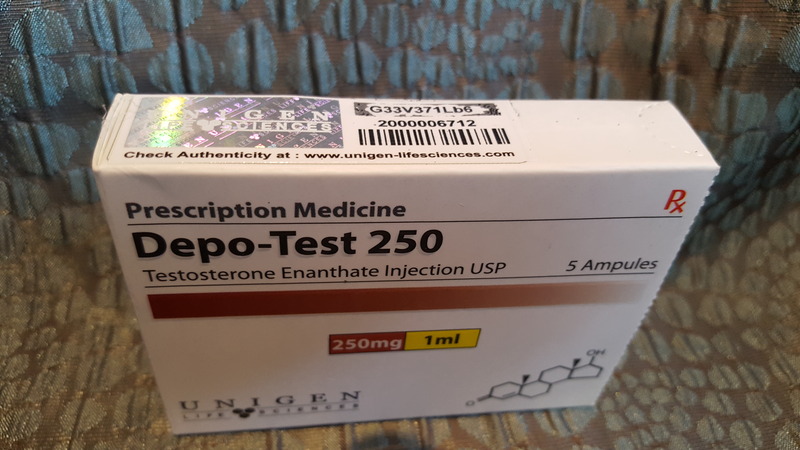 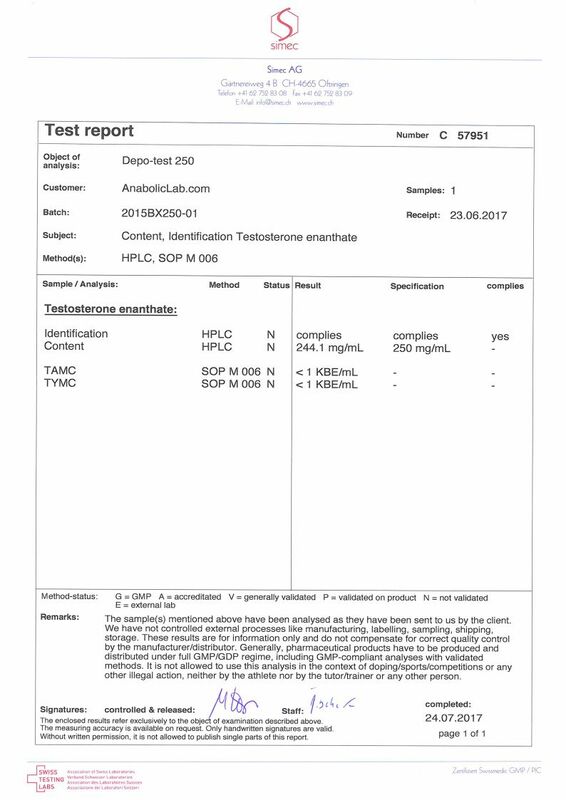 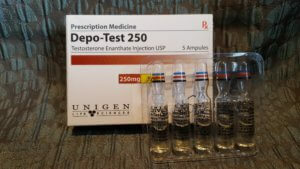 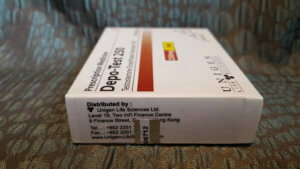 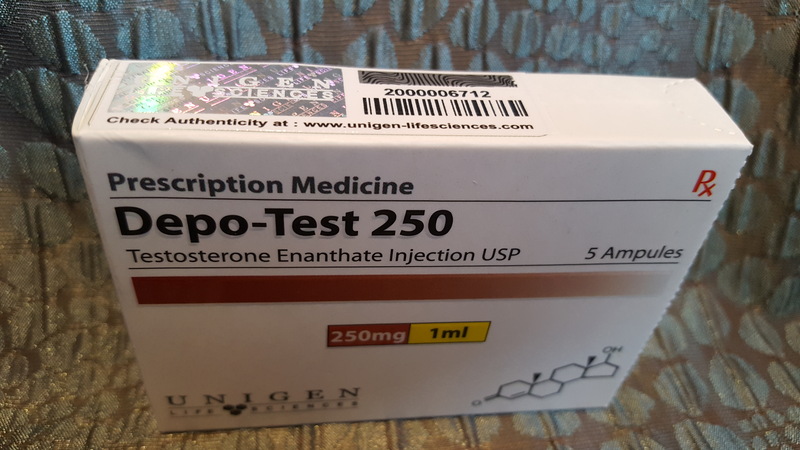 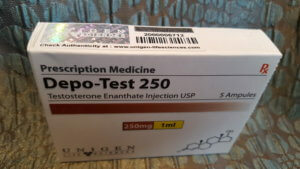 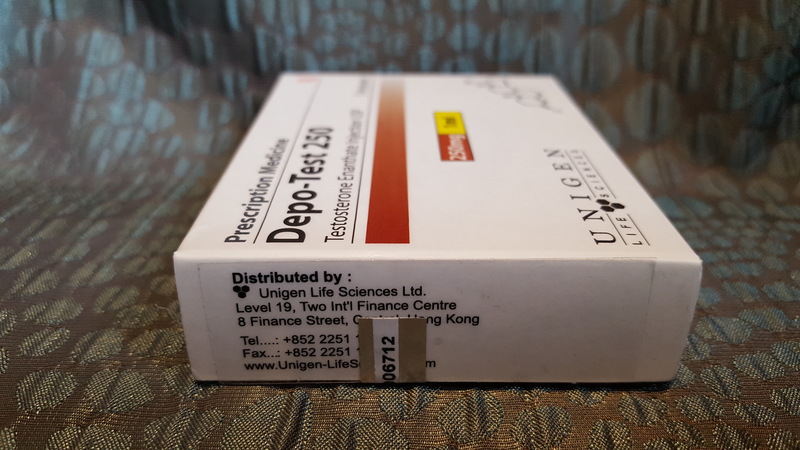 Unigen Life Sciences Depo-Test 250 is presented in a box containing 5 one-milliliter ampules and reportedly contains 250 milligrams of testosterone enanthate per milliliter according to label and/or packaging. Samples of this product were purchased from a European-based internet source between the dates of May 15, 2017 and June 23, 2017. 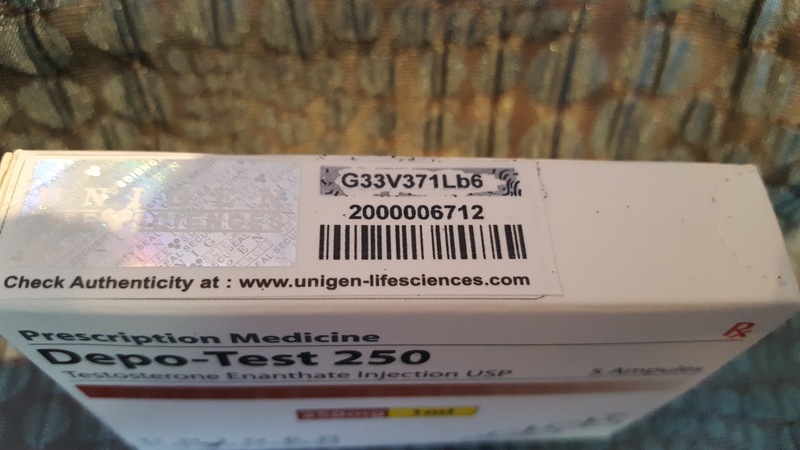 The product manufacturing date was listed as July 2015, the expiration date as May 2018, the batch number as 2015BX250-01, the registration number as 1c 41/56, the serial number as 2000006712 and the secure number as G33V371Lb6. 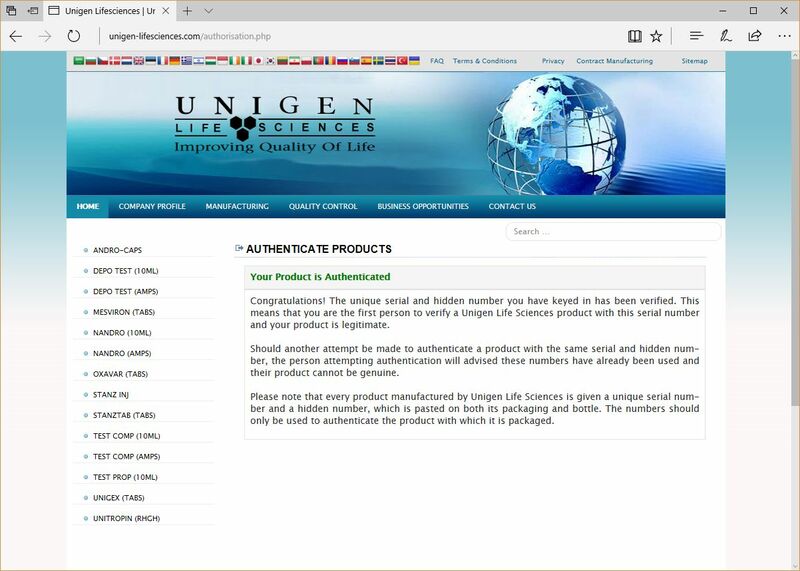 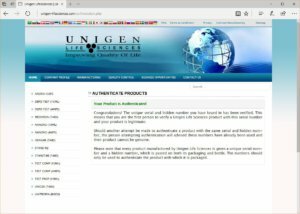 The product was authenticated on unigen-lifesciences.com/authorisation.php. 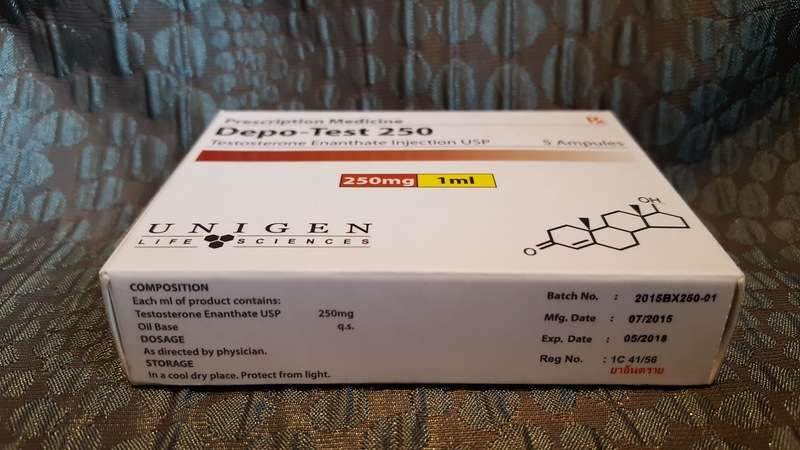 Discuss the Unigen Life Sciences Depo-Test 250 lab test results on the AnabolicLab Forum.